Raspberry Pi: A £15 mini-computer Jump to media player A piece of technology not much bigger than an adult's finger could help a new generation discover how to programme computers. Tech Know: Building a retro PC Jump to media player Computer collector John Honniball shows Ellie Gibson how to recreate an 8-bit PC. A piece of technology not much bigger than an adult's finger could help a new generation discover how to program computers. 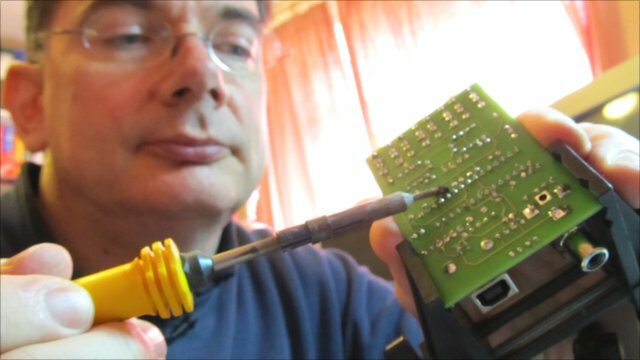 Games developer David Braben and some colleagues came up with the Raspberry Pi - a whole computer on a tiny circuit board made with not much more than an ARM processor, a USB port, and an HDMI connection. READ MORE: What makes a video viral?